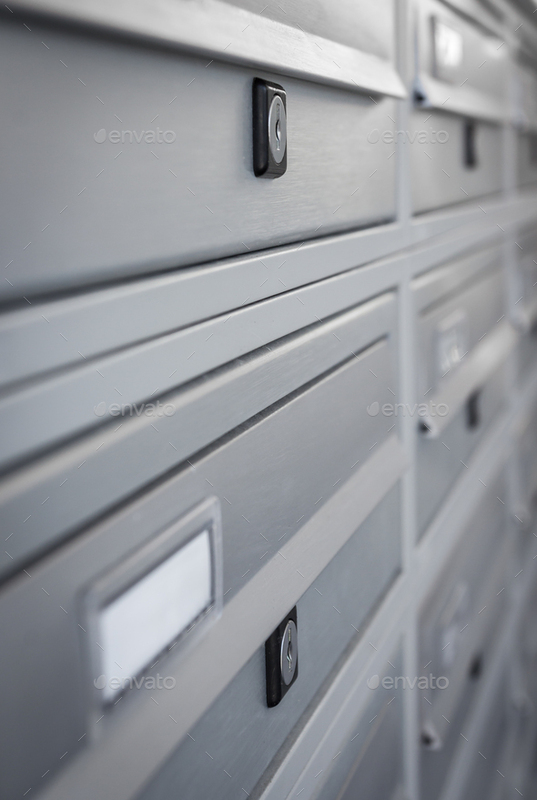 Modern Gray Mailboxes. They can be used for background and concepts. Shallow depth of field.